My favorite forum is a gaming forum I joined since I was a little boy. It is my favorite online community where I met lots of friends of the same interest. Well their moderator retired and the moment the moderator retiried, spammers invaded the site. thousands of spam discussions are flooded that in just a month people are quitting the forum because their discussion will just got buried by these spammers. I want to convince the owner of this forum to make me a moderator because my love for this forum is labor of love. I am not paid because it is a regular forum and this forum is my childhood and I do not want it to be killed by spammers. That's just messed up. It's a shame to see good things go down the drain like that. You really should initiate contacting the owner and express your concerns and offer your help. I still have no respond from the Admin, If he want the site to survive he needs to get a moderator. I am volunteering already for free but no response yet. That must be feeling bad since you like it so much and you with it for so long. I hope admin considers your volunteer help and you can do your best to revive it. It feels really said to see a site being pulled down by spammers. May be the admin will hire you as a moderator. So sad to know that your gaming forum is getting a slow death because of the spammers. Hope the site people will listen to you and will appint you as their moderator. It is really bad to see that our favorite site is dying! All the best dear friend! Do you have an answer to be a moderator already? Spammers are such a ridiculous, they can destroy a site in a couple of days. Hope you can do something to maintain the site alive and working. 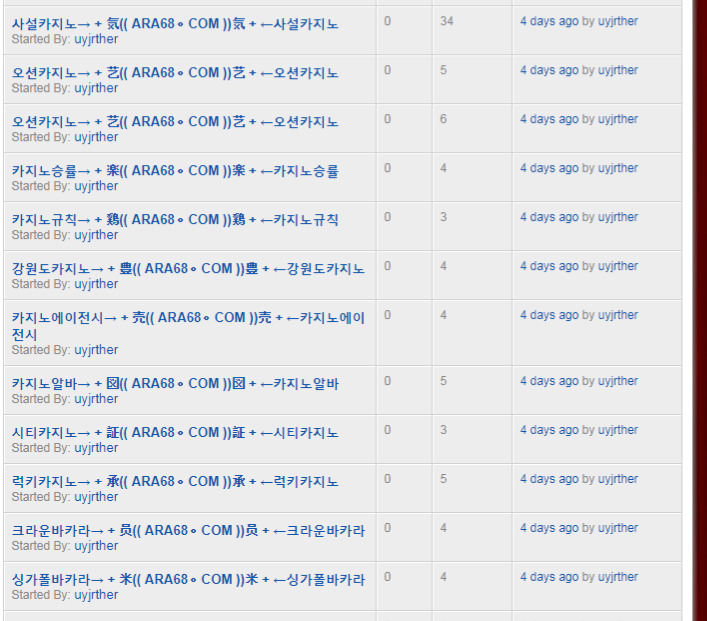 My test site on free domain and hosting was attacked by spammers. If you have good, older forum than you need to check security updates every day or it will happen same thing like on image. I hope you will suceed and remove them. Hope the retired moderator hires a new efficient moderator.. Apparently they abandoned the forum because they want to do focus on the company's social media because people dont post on forums anymore according to them. fergus1234 wrote: Apparently they abandoned the forum because they want to do focus on the company's social media because people dont post on forums anymore according to them. Looks like you're going to have let it go! I've seen this before and those signs look like that site is going downhill. Sorry to hear that, but nothing can be done for a user. Social Network just killed many forums. I remember in early 2000's there are so many active forums everywhere. Foodie Finds for Food Lovers! • Total Clicks: 51,761 • Total Links: 38 • Add Your Link!